Can You Smell What The Cru’ Is Cookin’? 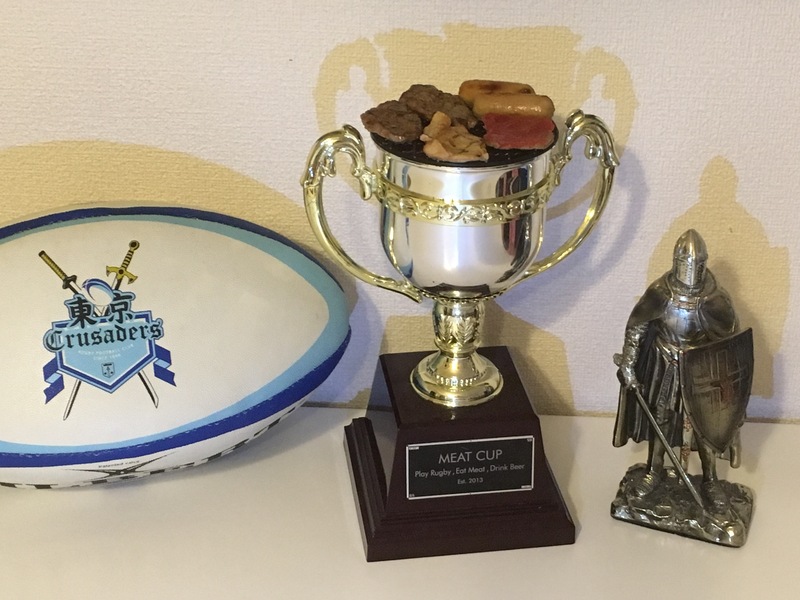 An annual tradition for The Crusaders is to host our Crusaders Invitational 10’s Tournament formally known as The Meat Cup. Just because we may have changed the name of it, why should we change anything else about the tradition?? Vice Captain Matt Sparrow had a vision while competing in last years Cup in the cold and rain…why don’t we do this when it’s bloody nice out? Well thanks to the amazing work from Sparrow and friends we have officially scheduled the day for grilling and fun in the sun for Sunday the 26th of August. Kickoff should be around late morning to the early early afternoon on Yokota Air Base. If you like Rugby, BBQ, and a few other things, we hope to see you there. Multiple teams will be competing for the Cup so it will sure be something you don’t want to miss. Will the Cru retain the Cup or will some other secret team win it and forever have bragging rights for the opening of the 2018-2019 season. See you there, I know I won’t miss it! !